When it’s time to plan a marketing event for your business, which is the more cost-effective option; hiring an outside event manager or using your internal marketing team? Your first instinct might be to choose the internal marketing team. After all, you’re already paying their salary so there’s no need to hire someone else. But not so fast. Using your internal team can cost you money in the long run. Sure, the up-front cost will be absorbed in payroll, but your ROI is likely to suffer. Here’s why. First, let’s assume your marketing team is like every other marketing team on the planet. They’re busy managing multiple complex projects with competing timelines. If you task them with coordinating an event, they’ll be handling the details in between fielding sales team emails, writing a script for the radio ad, and setting up a content calendar for the next three months. Meanwhile, an outside event manager is focused on your event. She takes the detail work off the shoulders of the marketing team but still collaborates with them on the big picture marketing goals. While your in-house marketers are generalists, your event manager is a specialist. All of her energy and talent goes into a meticulously planned event that surpasses your goals. Everyone has heard the axiom, practice makes perfect. 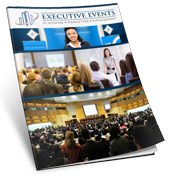 While your in-house team might organize one or two events a year, an event planning professional has dozens or even hundreds of successful events under her belt. She knows what works and what doesn’t and brings you the benefit of her expertise. Experienced event planners know where costs can be cut without skimping on quality. They use their expertise to make sure every dollar you spend gives you the highest possible return on investment. In addition to her expert knowledge, she comes prepared with a roster of vendors, venues, caterers and other service providers who can make sure your event goes off without a hitch. She knows the best in the business and will bring them in where they can be most effective for your event. Sometimes she can even turn those preexisting relationships into discounts or special deals for you. Sure, your marketing team might know all about the latest trends in inbound marketing or how to use big data, but do they have their finger on the pulse of the event industry? Do they know what the next hot trend is and how to best capitalize on it for your business? Probably not. A professional event planner makes it her job to know where the industry is going and what is likely to work in the future. She’ll make sure that your event exceeds attendee expectations by delivering the latest and greatest the industry has to offer. That translates to a better overall attendee experience. Attendees walk away more engaged, better informed, and more likely to buy. If you’re ready to get higher ROI for your event by working with a professional event manager, contact Deany Dormer at 757-785-5081.